There is no standard curriculum for a child with a specific diagnosis, but THSC is glad to provide a list of special needs resources. 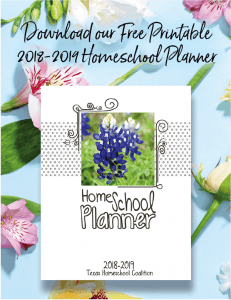 Many resources have been developed specifically for the special needs homeschooling community. THSC does not endorse a specific group or organization. However, special needs homeschooling families often share resources with THSC. Give yourself grace, as finding curriculum and helpful resources may at first be just a starting point on the road to finding the best choice for your individual situation, your child’s diagnosis and your family teaching methodology. If you have a specific type of curriculum or resource in mind and you are having difficulty finding exactly what you are looking for, we encourage THSC members to contact the THSC Special Needs Specialist at specialneeds@thsc.org for a list of curriculum and resources. This may help you develop a plan to customize that curriculum to the specific needs of your child.